Alice Apartment House, Praga, Czechy : Rezerwuj teraz! Convenient location of Alice Apartment House offers plenty of restaurants (including vegetarian and gluten-free), two supermarkets and a cake shop. Bus, tram and underground station Florenc is only 100 metres away. For the shopping needs of our guests, Prague's newest shopping center Palladium is located just steps away from our accommodation. Alice Apartment House has three floors and the architecture is gallery-styled. There is a courtyard with wooden tables and chairs to sit in and relax, which is especially pleasant in the summer time. For higher comfort sunshades are provided. Guests can enjoy free Wi-Fi connection in all of the rooms and they are welcome to use two computers with internet access in the lobby. In the receptions minimarket we offer a variety of beverages and snacks for our guests to buy. 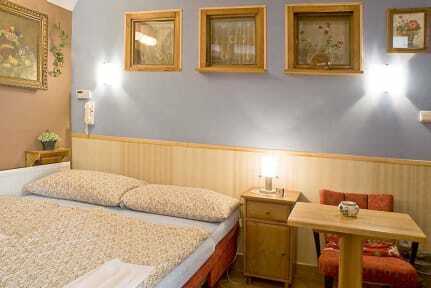 The rooms are newly renovated and they are suitable for 1-6 people. 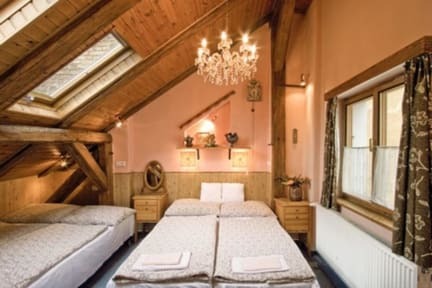 Tax is included in the price of accommodation. The staff of Alice Apartment House is looking forward to meeting you in Prague!